An update from Amundsen-Scott station at the South Pole. Unfortunately, we will not have a full recovery of the SuperTIGER payload this season. A huge difficulty in working in Antarctica is that all scientific and support projects are subject to the weather. One major slip can lead to a domino effect that causes disruption throughout the program. Coupled with that, a primary goal towards the end of the summer season is that everyone is removed from their field-camps before the onset of winter, this of course must take priority over everything. So resources become stretched, priorities shift and schedules and plans can evaporate over night. The SuperTIGER recovery fell victim to a chain of events that started over a week ago. Due to warmer temperatures, the ice-runway at Pegasus (which is the primary runway when the sea-ice breaks up around McMurdo station) became unsuitable for the larger non-ski aircraft used to take passengers and supplies to and from Christchurch (i.e. the C-17, the Australian Airbus A319). When I say unsuitable, what I mean is that the runway surface melted and became too soft for these aircraft to land safely. When that happens (like last season in fact), all of the inter-continental flight duties (along with all their original Antarctic support duties) fall to the LC-130 ski aircraft and the Air Guard. There were even less of these aircraft available this season due to the government shutdown, plus one of the primary and critical roles these aircraft play is in delivering fuel to the very station I am sitting in. That fuel is the life-blood of the Amundsen-Scott station during its winter months, hence it is vital that it is fully stocked with fuel before the summer season ends. Now, for SuperTIGER we needed two LC-130 flights to successfully achieve our goal. Due to the remote location of the payload, we needed to have a fuel cache waiting to allow refueling of the recovery aircraft that would be transporting the deconstructed SuperTIGER. Once the fuel cache was parachuted in by the LC-130, then the groom-team would arrive to prepare a ski-way for allowing loaded aircraft to land and takeoff (remember?). Then, once they had set up camp, the science recovery team (i.e. us) would land and begin our work in earnest. The first domino to fall was the re-assignment of the LC-130 flights to taking passengers to and from Antarctica, already stretching the ability of the program to deliver fuel, remove camps etc. So our fuel cache mission was just not to be. 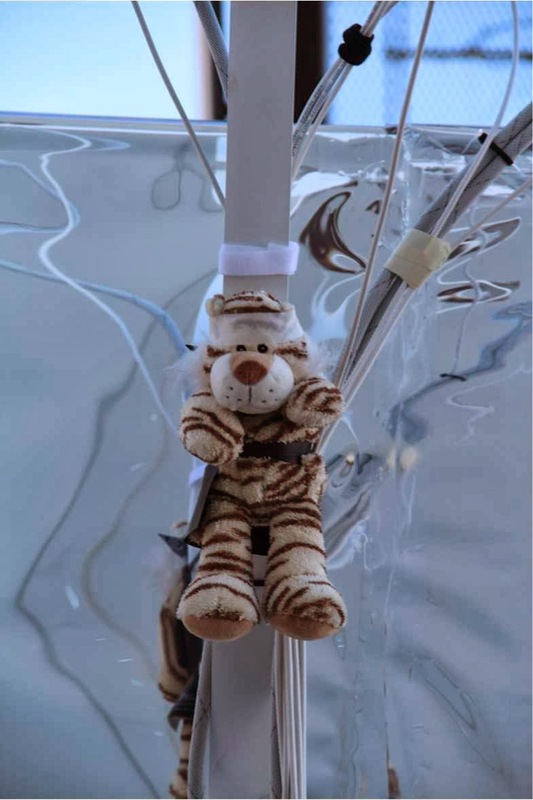 No fuel cache, no groom team, no planes to take SuperTIGER back to the SLW camp (for the second LC-130 flight to bring it to McMurdo, obviously redundant now) and so no recovery. Dominoes! What we were offered instead was 1-3 Twin-Otter flights (the small fixed wing aircraft run by Ken Borek Air or KBA) to the payload, staged from the South Pole. Each flight would allow about 2-3 hours on the ground which is just not enough time to a) dig out the payload which is without doubt heavily drifted-in by a year of Antarctic weather and b) safely and carefully remove our sensitive and expensive scientific equipment. However, you take what you can get down here, and so what we will do is survey and assess the state of the instrument, remove some of the easily (relatively) accessible electronics and communication equipment used by the NASA Columbia Scientific Balloon Facility (the facility that manages the balloons, launch, monitoring etc.) and then strap things down as best we can for another Antarctic winter. Oh, and rescue our SuperTIGER mascot "El Super Tigre". Uh ... guys? Little help? However, not to worry, I will keep updating this blog for the remainder of our season down here. I hope to be on the second Twin-Otter flight to the payload (the first is a reconnaissance mission where Thomas Hams is the only science representative) and will share my experiences on that exciting trip (weather permitting of course!). Furthermore, expect a few more updates on life at the South Pole. Touching BOTH South Poles (eh? ), touring the tunnels under the station in -55C/-67F temperatures, getting to visit the nerve-center of the $300 million dollar Ice-Cube experiment and last but not least, watching Top Gun on VHS on movie night (as exciting as the previously mentioned? ... possibly).